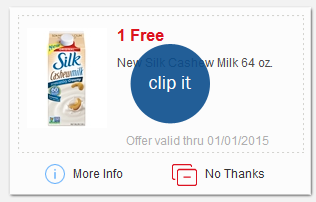 Now through Thursday you can get free Silk Milk at Meijer. Just head over to your mperks account and sort by dairy to easily find this coupon. Offer expires 1/1/15.